Ben Guite hasn’t forgotten the man behind the mask who played a starring role for the Maine Black Bears. 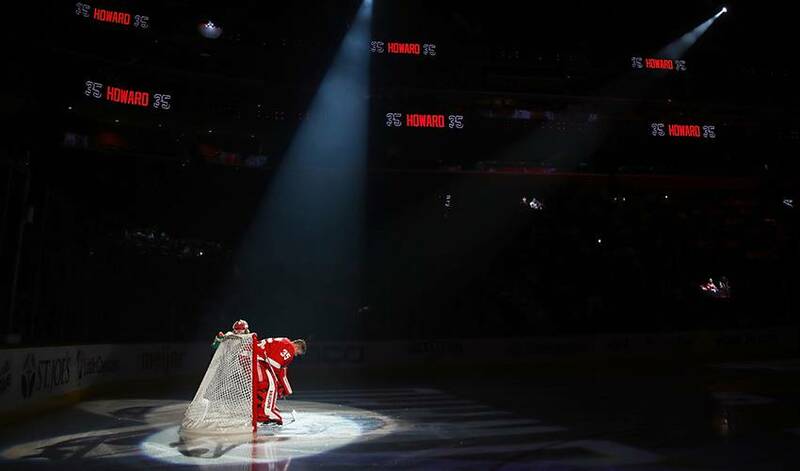 During his time in the U.S. collegiate hockey ranks, goaltender Jimmy Howard set a slew of team standards, including shutouts, goals against average and save percentage. Selected by the Detroit Red Wings in the second round (No. 64) of the 2003 NHL Draft following three outstanding seasons at Maine, Howard posted a 47-23-10 record with the Black Bears and helped lead the team to the NCAA Frozen Four as a sophomore. For Guite, a former Maine forward who now holds the role of Associate Head Coach with the America East Conference club, seeing Howard nearing the 500-game mark at the NHL level is special for both himself and those associated with the Black Bears hockey program. Howard, who made his big-league debut with Detroit November 28, 2005, was equally revered for his character in the dressing room. That’s carried over to an NHL career that’s yielded 228 wins, a trio of 35-plus win campaigns and 24 shutouts. And Howard’s done it all with one team. Although they didn’t play together at Maine, the two did cross paths the odd time during their hockey careers. During the summer months, their paths cross at Alfond Arena in Orono, Maine, home of the Black Bears. Guite always relishes the opportunity to catch up and have a quick chat. Howard’s also a model Black Bears alum.